I've never bought a brush cleaner before, as I've always used baby shampoo to clean my brushes. So when I aw this artiste brush cleanser in Priceline I just had to pick it up! This is just a spot cleaner, meaning you spray this onto a tissue and wipe your brushes on the tissue to clean them! This product is great if you have a limited amount of brushes and want to clean them while you are doing your makeup! This would also be good if you are a makeup artist and are using different colours all the time and don't want them to mix! A quick clean of the brush before getting a new eyeshadow colour never hurt! I've never used a spot cleaner before so I have nothing to compare this to, however I think this is a pretty great product! It really does remove all of the makeup thats left on the tips of your brushes! 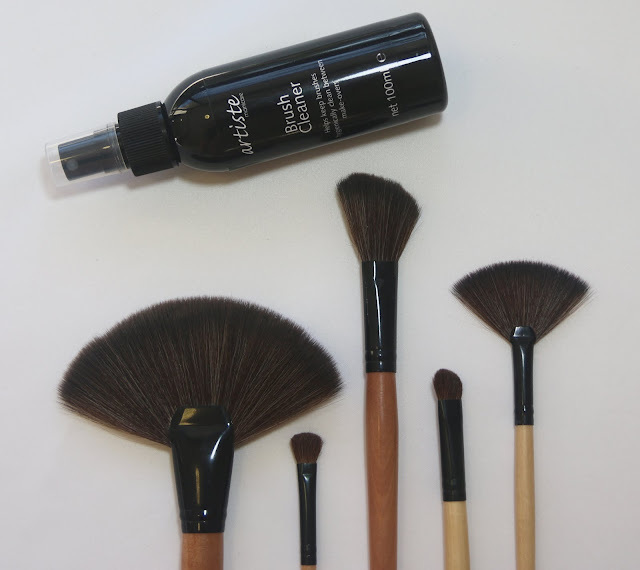 I have tested this by using a brush with black eyeshadow then using the brush cleaner and then applying a light shade! There was no black left on the brush and the lighter shade came out the colour it should be, not with lots of black running through it! 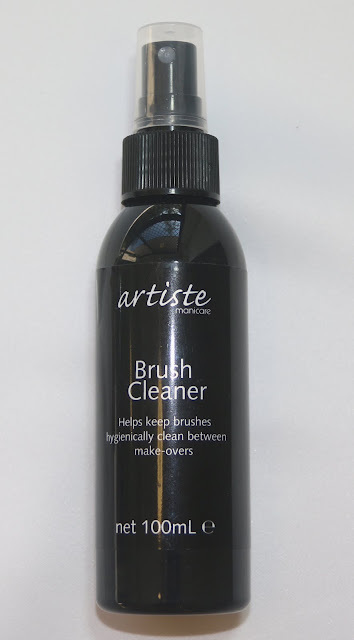 It is still really important to deep clean your brushes, though this product can put that off for a few days if you are feeling lazy!! This is a lovely product and I highly recommend this! Especially if you haven't tried a spot cleaner before! I found this at Priceline for $12.